​At Hudson & Company Home Inspections, LLC, we only employ ASHI home inspectors. Believe it or not, in Georgia, certification is not a requirement to perform home inspections. But we are committed to providing comprehensive residential home inspections following the ASHI (American Society of Home Inspectors) standards of practice. We will give you the information you need to purchase your property with confidence. 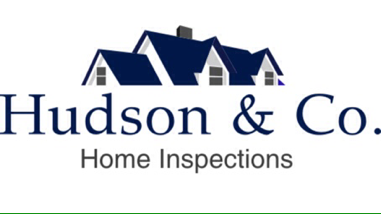 Hudson & Company Home inspections, LLC provides thorough, professional residential home inspections. Utilizing the latest in training and software. Following an inspection, the findings will be compiled in an easy-to read report, which will include detailed descriptions and high resolution digital photos of any issues discovered. You will be emailed the link to view and download your report within 24 hours so you can make a timely, informed decision. Your inspectors job is not done until you understand everything in the report. Hudson & Company Home Inspections,LLC has chosen Home Gauge software, which allows both the client and realtor (with Permission) access to your report online. This eliminates the need to download large files and provides viewing everywhere, even on a smartphone. Our clients are encouraged to attend the inspection. This affords the opportunity to discuss the findings in person and answer any questions you may have. This also gives the client an opportunity to get to know their new house. Hudson & Company Home Inspections, LLC will inspect the visible and accessible structure, systems and components of the home, inside and out, from the foundation to the roof using the latest tools and technology. A common misconception is that a general Home inspection is only needed when a home buyer is ready to purchase a home. Are you thinking about listing your home in the near future? As a seller, why not be proactive and and let Hudson & Company Home Inspections, LLC help determine if there are any concerns that may come up, that might keep you from closing on a contract. We will provide an unbiased examination of your home. We do not provide any repair services or recommend contractors to complete the work. (This goes again the ASHI standards of practice). So you can rest assured we are working solely for you. This pre-listing inspection will give you a realistic list of repairs, and may uncover potentially dangerous safety concerns. This will assist in helping you determine a fair listing price and provide the buyer confidence in the condition of the property. We also provide Radon testing. Has your realtor advised you to have a radon test performed but you aren't sure if it is really necessary? Have you seen the advertising popping up lately informing you of the health risks of radon in your home? Radon is an odorless, colorless and tasteless gas. Radon cannot be detected in your home without the use of specialized testing equipment. The Environmental Protection Agency (http://www.epa.gov/radon) currently lists radon as the number one cause of lung cancer among non-smokers and the second cause of lung cancer among smokers, with 21,000 deaths each year in the US. Approximately 2,900 of these deaths occur among people who have never even smoked. Hudson & Company Home Inspections does not provide mitigation (corrective) services or recommend any companies that do so. We provide a professional 48 hour continuous monitor test using our top of the line testing packets and provide you with a comprehensive report.